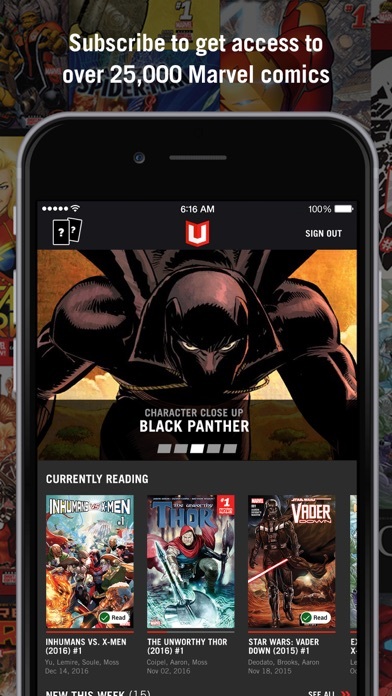 I have loved my Marvel Unlimited subscription, but one thing I want to use it most for is still frustrating to do. Reading major events is definitely the most exciting thing about the service for me, and I do like the reading lists service for that. The problem is the lack of sorting with those lists. With Civil War 2 or Secret Empire for instance, there are many different comic runs that make up the story. 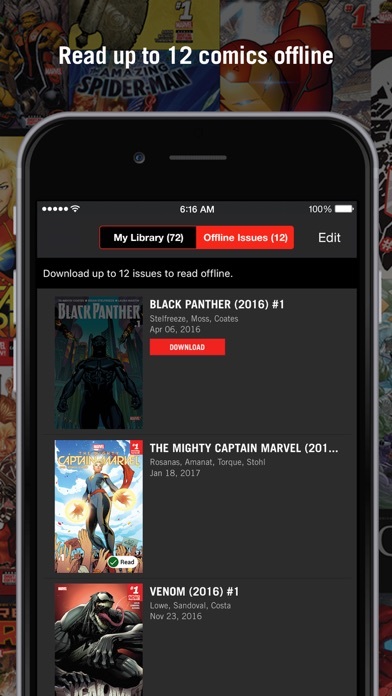 To actually read them in order you need to constantly scan the dates of every issue in those multiple runs or get another reading list online and follow that. 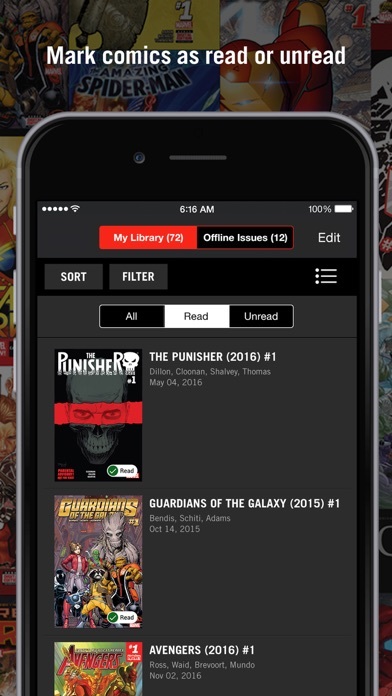 Honestly a view as single list with basic sorting options like: “sort by release date” would make it a hundred times easier to read the issues in a proper order! 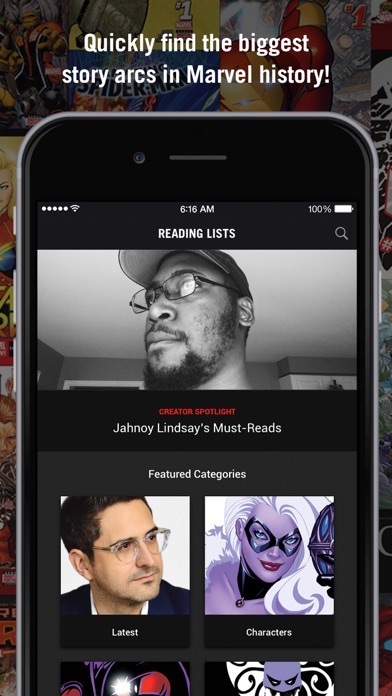 This one feature would make the MU experience for reading events that span multiple comic runs 100x better! Too bad for the Latinos.. I'd like you to put it in Spanish since some Latinos don t speak English ! The subscription service is a miracle of the modern age, and the app itself works a lot better (bug wise) than other (maybe outdated) reviews would suggest. 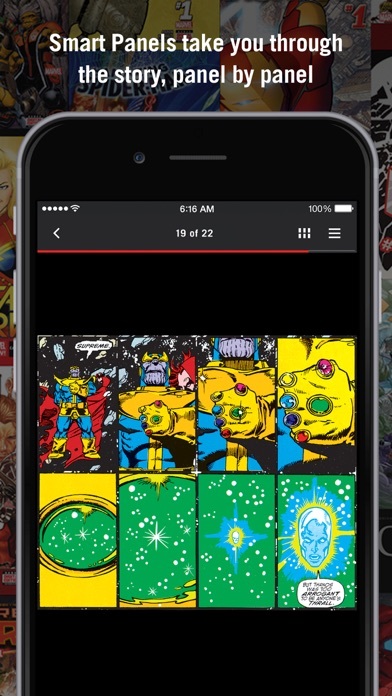 I haven’t used the app and service for more than a week, but I have enjoyed it thoroughly so far (logging in, downloading/reading comics, etc.). 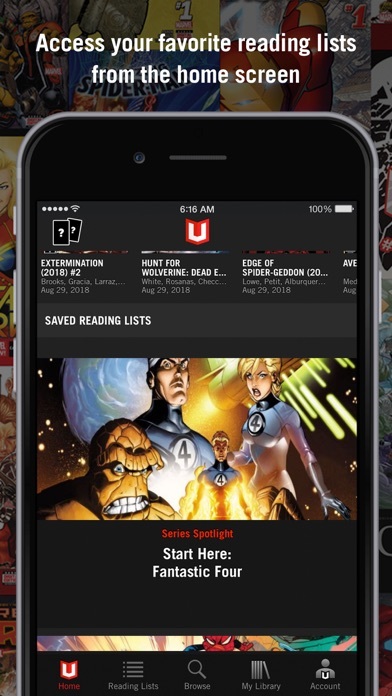 I would, however, suggest an interface that is more like the Marvel Comics app, as Unlimited’s interface (beyond some of its reading lists) does not provide enough options for exploring, learning, and seeing editor-picked series/lists (like in the Comics app). 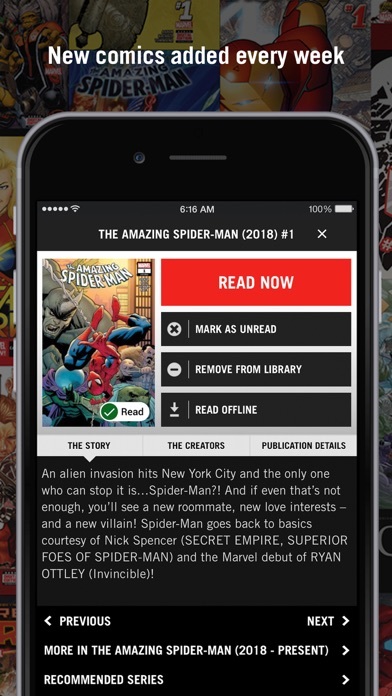 And speaking of series, the “read next in series” button at the end of a comic is great functionality, but I wish that I could search, select, and save series as a whole in the main interface. 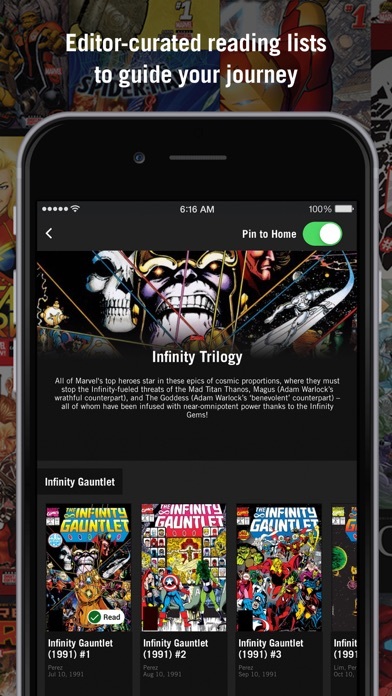 That being said, the app still gives you the power to search for comics along a variety of criteria, which is important and helpful, albeit if you already know what you are looking for. This leads me to wonder: why are there two apps, one for “subscription” and one for purchasing, when the experience could be consolidated? Are these two different developers, are there historical reasons, or something else? And what stops these apps from being consolidated? All in all, this app experience is solid for me, even if (in my opinion) the interface is lacking in functionality. I love it, the only thing I do not live is the story descriptions haven't been loading. The concept is GREAT. I really want to read old Spider-Man comics and tons of others but this game is so buggy. I started the free trial and everything, and i signed out once and despite me putting my card in and everything it says I’m not a unlimited member when I am. I can’t read these comics. Help? Fails to download content, rarely loads comics and constantly crashes. Never used an app that functions so poorly before. Being able to subscribe to a service for almost unlimited marvel comics is great. That said the service is unreliable. There are periods where comics won’t and the search and categorization options are atrocious. With that said, if you are a Marvel fan who are looking to read comics, I’d say it’s worth a subscription though frustrating at times.